In 2007 only 1% of all generic drugs had doubled or more in price year-over-year. In 2013, that number had risen to 4.39%. According to a study by the University of Southern California (USC) Schaeffer Centre for Health Policy & Economics, the increase in sudden price spikes for certain generic drugs is mostly caused by manufacturers that have entered therapeutic areas with limited competition, and dramatically raised their prices as a result. While this might make good business sense in terms of raising profit, it does have negative effects on patients, and may indicate a weakness in the market. This blog takes a closer look at what this trend means for those reliant on the drugs, what it means for the market, and what we expect to see in terms of regulatory oversight to correct the issue. In 2012, Pfizer hiked the price of their anti-epilepsy drug, phenytoin sodium, by 2600% almost overnight. The UK’s Competition and Markets Authority (CMA) ruled that those epilepsy patients already taking the capsules could not be switched to another product, so the National Health Service (NHS) had no choice but to pay the increased prices. While this price increase didn’t directly impact the UK consumer, it will have a ripple effect down the line—whether that’s less access to medication/medical care, or increased taxes. In the recent USC study, a similar situation for patients in the US was uncovered. On the surface, price spikes did not affect the consumer as dramatically as one might expect. For example, while the price of a widely used drug increased by over 350% between 2010 and 2011, patients only paid 3% more from their own pockets in 2011. It is clear that while price spikes don’t always have a direct or immediate impact on patients, this trend doesn’t bode well for those already feeling the strain of regular medical expenditure or those that who depend on certain drugs/healthcare systems to survive. This indicates a lack of competition in the market rather than issues with supply (which would have rectified itself on a shorter timescale) and has left many wondering if the market is working like it should be. It’s a dangerous position for patients to be in, if a lack of competition means that manufacturers can take advantage of a therapeutic area and increase prices to whatever they like. But, from a manufacturer’s perspective—there are always two sides to every coin, after all—the price spikes are arguably warranted. Typically, when generic drugs hit the market they are priced at around 60% of the brand price. Then, as more competitors enter the market, the price can drop—sometimes significantly enough to threaten the ability of the manufacturer to produce that drug. For example, to return to the Pfizer/phenytoin sodium situation, the manufacturer claimed that the drug was incurring a loss before they made it generic, and that it was still cheaper than equivalent drugs supplied to the NHS. It seems a holistic view of the situation by impartial parties is needed so that a solution that both safeguards the patient and the manufacturer, is implemented. There’s little doubt that new regulations or legislation will emerge in reaction to this trend. In fact, a number of opinions have been offered on what policymakers should do to combat these issues already. 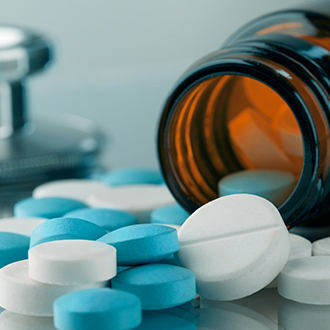 One option could be to temporarily allow importation of generic drugs from other countries with the same drug safety standards as the US, when the number of approved US manufactured generic drugs is low. Alternatively, authors of the USC study have suggested that the Federal Trade Commission (FTC) be more rigorous in their analysis of mergers and takeovers of drug companies, so that they look more closely at what mergers might mean for specific classes of drugs rather than just the market as a whole. At current, the FDA has outlined new rules that ensure review within eight months for new drugs that have fewer than three approved competitive products in the target market. This will allow competition to enter the market faster and encourage manufacturers to invest in the areas that make sense for their consumers as well as their business. Enterey is a team of high-performing consultants who specialize in the life sciences industry. In the face of increasingly complex regulations and competing business priorities, we recognize that delivering on your promises to patients requires an organizational culture rooted in compliance and transparency. We therefore construct solutions that integrate systems, processes, and behaviors to allow you to better protect your patients, ensure the reliability of your products, and reduce your compliance risk.